If you haven’t noticed…Ethne and I L.O.V.E.D. the royal wedding and continued on with this obsession over the weekend. 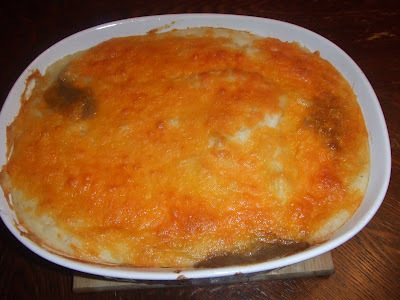 A quick Google search and I discovered that Prince William’s favorite food is cottage pie (the beef version of shepherd’s pie). FYI—when Steve and I were in the Bahamas, I lived on shepherd’s pie. It was my go to late night snack! Steve says this pie was by far better than any pie I forced him to eat in the Bahamas. 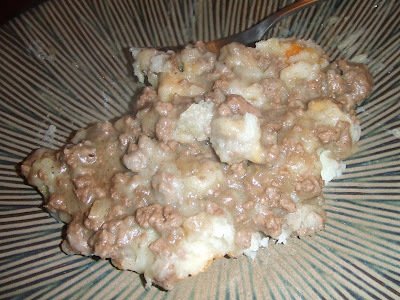 This particular recipe was found on oprah.com and created by former royal chef Darren McGrady. 1 Tbsp. Kitchen Bouquet browning and seasoning sauce (Unfortunately, we did not have this product, however, a quick online search and I found a recipe to make your own. 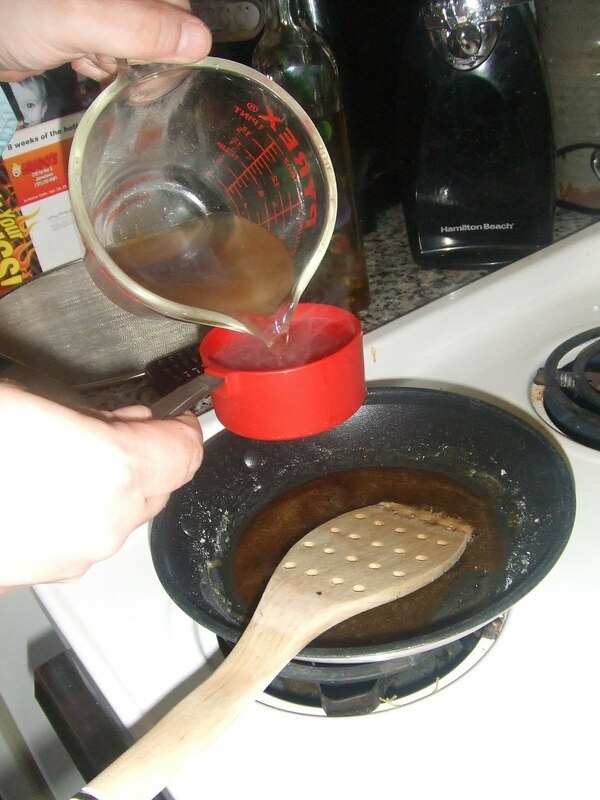 Heat and brown sugar on low (1/2 cup of sugar to 1 cup of water), when browned pour in water and highly concentrated beef stock (we used beef boullon to make the stock). Adding the beef broth and water to the sugar mixture. A good alternative to Kitchen Bouquet browning and seasoning sauce. 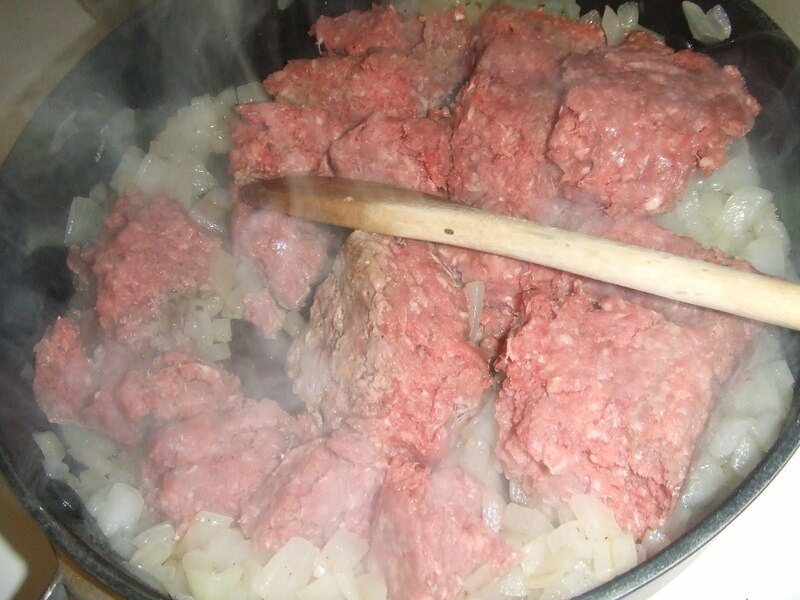 In a large saucepan over a high flame, heat the oil and add the finely chopped onion. Sauté until the onion becomes soft and translucent. 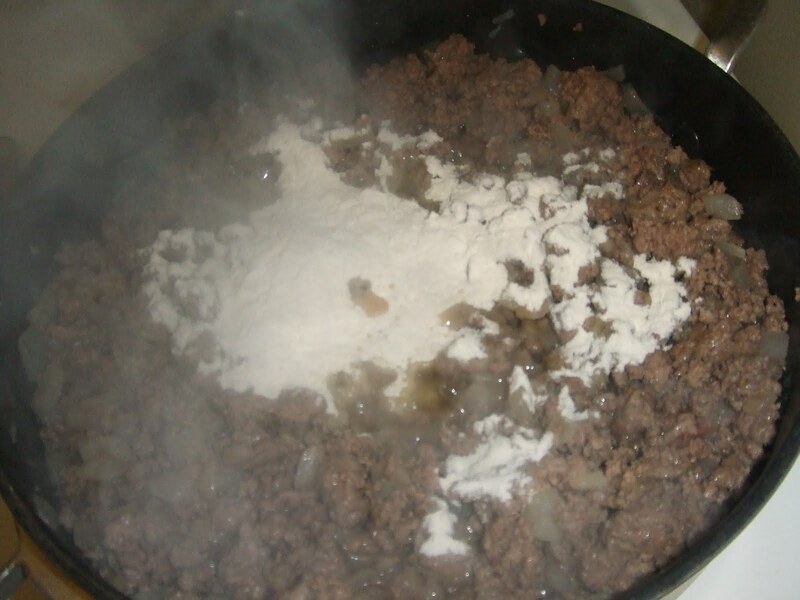 Add the ground beef and break it up using a wooden spoon. Sauté until the beef has lost all its pink color. Gradually stir in the flour, thyme, 2 cups water, Kitchen Bouquet seasoning, beef bouillon cubes and Worcestershire sauce. Reduce the heat to low and simmer the meat (so that it is just bubbling) for about 30 to 45 minutes until the sauce has thickened and the meat is fork tender. 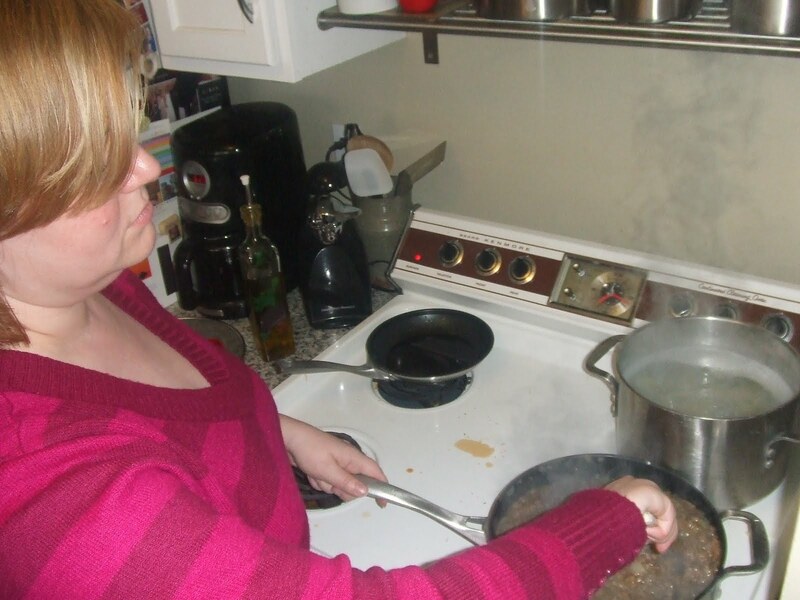 Remove the pan from the stove, and use a slotted spoon to transfer the beef to the earthenware dish. The slotted spoon will lift just the beef so it will not be too wet to hold the potatoes. Leftover sauce can be served alongside the finished pie. 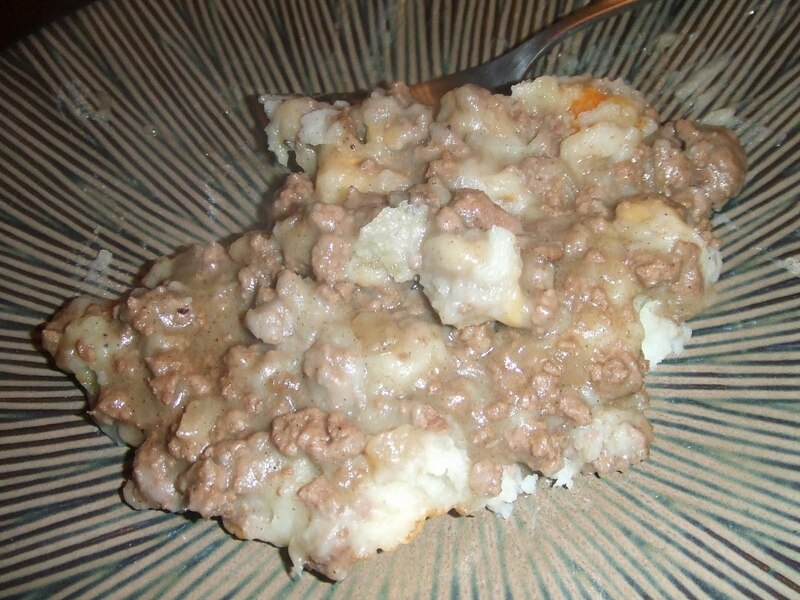 (I didn’t gather much excess gravy—instead I opted to mix it all in and the consistency was great). Place potatoes in a large pot and add cold water to about 1 inch above the potatoes. Cover the pot and bring to a boil over high heat. Lower the heat to a simmer and cook until the potatoes are tender when pricked with a fork (about 20 minutes) Drain off the water and replace the drained potatoes in the pan over low heat for 1 to 2 minutes to dry them thoroughly. 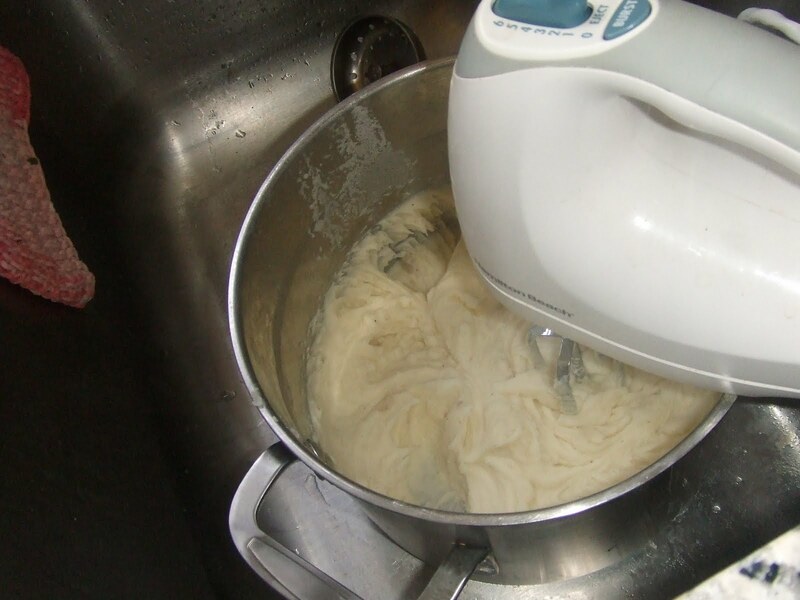 Mash the potatoes with a potato masher or pass through a ricer (I used my electric hand mixer). Stir the nutmeg, cream and egg yolk with the butter, salt and pepper into the mashed potatoes. 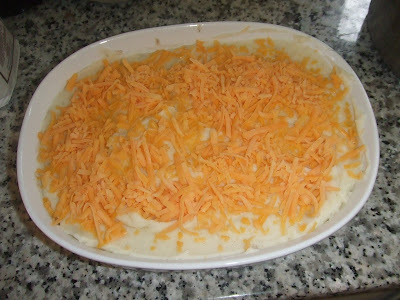 Then use the mashed potatoes to cover the top of the dish. Either pipe them, using a wide star tube or spoon them on and then fluff up using a fork (I opted for the latter). Sprinkle the top of the potatoes with the grated cheddar. It can be kept for 24 hours at this stage in the refrigerator if covered with plastic wrap. Bake in a preheated over (350 degrees) for about 20 to 30 minutes until the potatoes are golden brown and the pie has heated thoroughly. Can I say Y-U-MMMMMMMYYYYY! I can see why it falls on the top of Prince William’s list. It’s delish! Steve says I should make it again! MISSION ACCOMPLISHED! Smash - as in smashed potatoes? I have never made this, but my family will love this. Potatoes and meat, is there anything better! Thanks for linking up to Hunk of Meat Monday! I am LOVING this recipe and I think it's awesome that Prince William loves it. A prince likes meat and potatoes just like the rest of us "commoners". Fantastic recipe and I will definitely try it.